Our Roots of Timba series has vast amounts of transcriptions and in-depth analysis of Ritmo Oriental's music. The aim of this section is simply to chronicle the history of the group's recordings and to request that readers write in with additional information and photos. 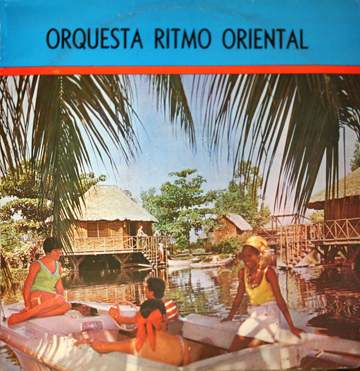 Ritmo Oriental was founded by departing members of Orquesta Revé in July of 1958, but there's no mention of them in the astoundingly complete Díaz-Ayala database, so it's unlikely they recorded prior to the 60s. 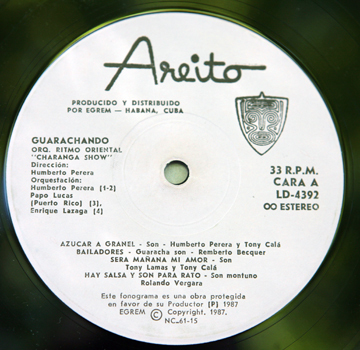 A mysterious Cuban musicologist sent us a list of discographical information including both the numbers on the released vinyl (LD for LPs and EPA for singles and EPs) and the "job numbers" (beginning with CA, CS or CP). We think these stand for Cera Areíto, Cera Siboney and Cera Palma), and we think that the following four songs were probably from the early 60s, but we have neither recordings nor photos ... except ... Osvaldo Martínez has an unlabeled bootleg of Viva la libertad. It sounds like traditional charanga from the early 60s but has one unusual break that gives a hint of the future style of the group. 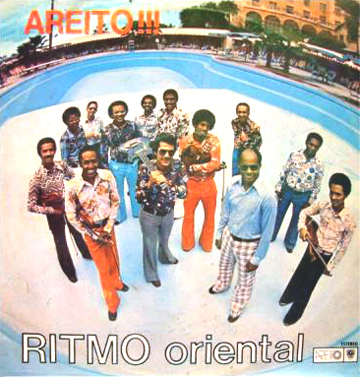 The first Ritmo Oriental vinyl that we've seen and heard is almost definitely from 1965. 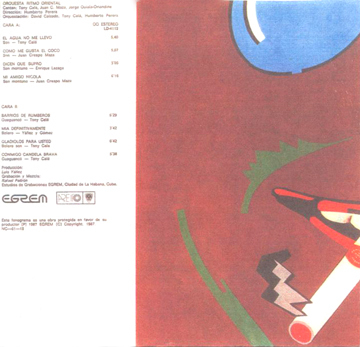 Four of these tracks were also released on an EP with the same cover, EPA-1053. The music from this period is pure charanga such as you might expect from Orquesta Aragón. We have a long review of Sabroseao in our Roots of Timba series. 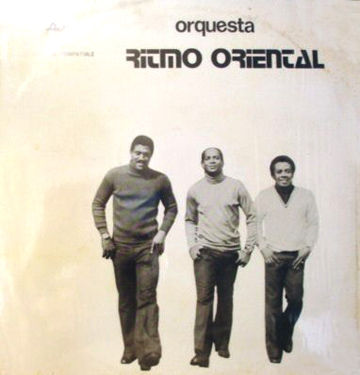 We'd love to know the exact date of this historic EP, the first example of Ritmo Oriental's dramatic new style and the first recording with the rhythm section of Humberto Perera, Daniel Díaz, Enrique Lazaga and Juan Claro Bravo. 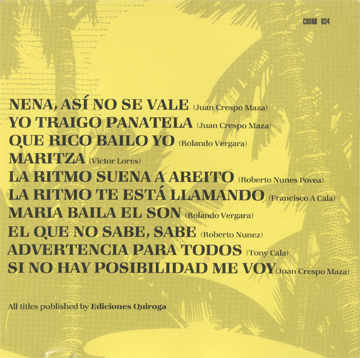 Sabroseao can also be found on a compilation called Nuevas ondas en la música cubana. The first 7 tracks were re-recorded for later albums, but the versions from this mysterious early session were apparently never released. Que se sepa bien and Quién dice (La Gorda) can be found on bootleg CDs so they must have made it to vinyl, but we still haven't found the EGREM numbers or photos. Please help! 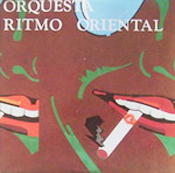 The next four albums are all called "Ritmo Oriental" and each has been released by EGREM with multiple covers. Fortunately, they're as much an artistic triumph as they are a discographical disaster. In fact, taken together as a body of work, the could be expected to withstand the test of time better than anything else Cuba produced in the 70s. 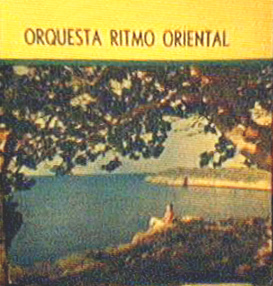 If EGREM had seen fit to honor Ritmo Oriental, as they did Los Van Van and Irakere, with a La colección box set, these four albums would have been Volumes II, III, IV, and V, so we'll use those titles. The volumes listed are only the ones we know for sure used these covers. They may well have been used for additional volumes, and several were also used for different groups! 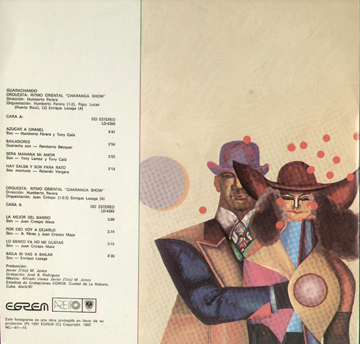 It's ironic that EGREM was so sloppy about this because when they put their minds to it they created some extraordinarily good album artwork. (example). CA954 Tema R.D.A. Caña Ramiro Reyes ? We have a long review of Volume II in our Roots of Timba series. On CD, all the up-tempo tracks from Volumes II and III can be found on the wonderful Historia de la Ritmo, Vol. 1. Volume I also contains the rarity, Conga No. 6, recorded at the sessions for Volume V, but never released on the LP. See our CD section for more details. We have a long review of Volume III in our Roots of Timba series. 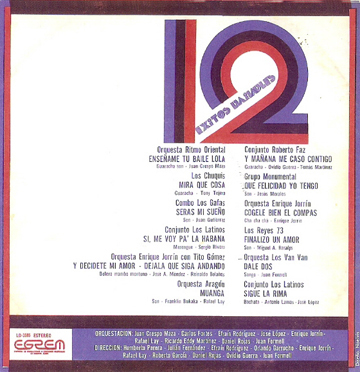 Enséñame tu baile Lola found its way onto the above-pictured compilation LP, 12 éxitos bailables (Areíto LD-3595). We're desperately looking for a recording of La juventud en el campo, the other up-tempo Ritmo Oriental original of from this session. We have a long review of Volume IV in our Roots of Timba series. We got the specific recording date from the liner notes of Cuban Gold 4, which includes the track Yo traigo panetela. 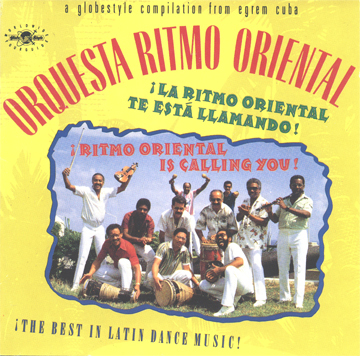 La Ritmo Oriental te está llamando has three of the best songs from Volume IV and three of the best songs from Volume V. See our CD section for more details. 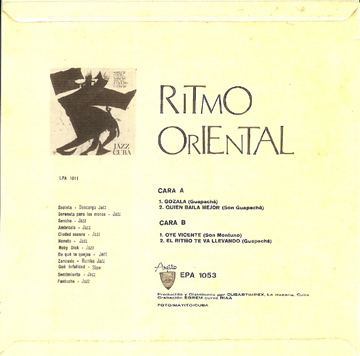 El son claro and Al que le tocó le tocó are both must-have Ritmo Oriental masterpieces and can both be found, nicely remastered, on QBADisc's Cuban Gold, Volume 4. 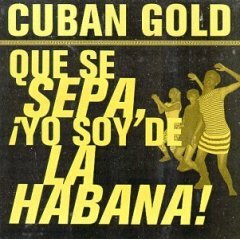 The whole Cuban Gold series is worth having as it contains any number of rare tracks by a wide range of groups. 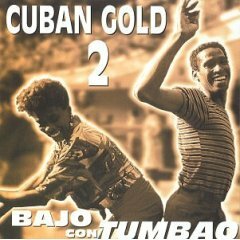 A third RO track, Yo traigo panetela, is on both Cuban Gold 4 and La ritmo te está llamando. 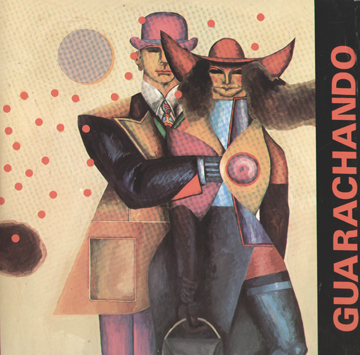 We found Yo no me equivoco, a great up-tempo track, and La quinta, a fantastically bizarre charanga version of the first movement of Beethoven's 5th Symphony, on a scratchy old cassette tape, so they must have been released on some vinyl record. The other three tracks have yet to be heard by anyone we know.
. NEXT TRACK NOT ON LP . 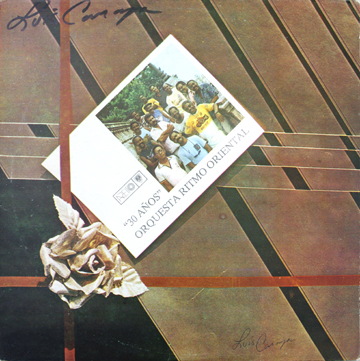 . .
We haven't gotten to this album in Roots of Timba, but it's almost unbearably good, especially Con el chenche, Nena, así no se vale, Maritza, and La Ritmo te está llamando -- just to get started. Of these, you can find Con el chenche on Cuban Gold Vol. I, and the others on La Ritmo Oriental te está llamando. 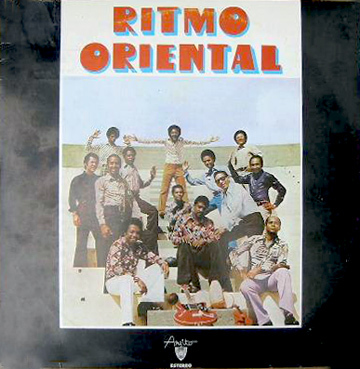 Two more important tracks, Tiene nivel and Juan Primito, are a provided by Historia de la Ritmo, Vol. II. 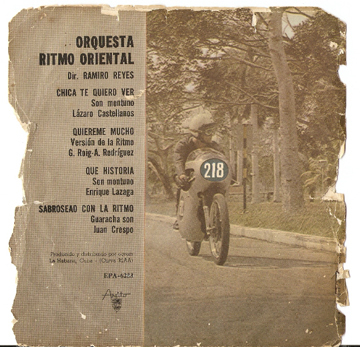 Cuidao con la percussion is one of Ritmo Oriental's greatest and most famous songs and can thankfully found on Cuban Gold 2. We've never heard the B-side, Ay mujer. We found the numbers "LD45 762" in Cristóbal's list. 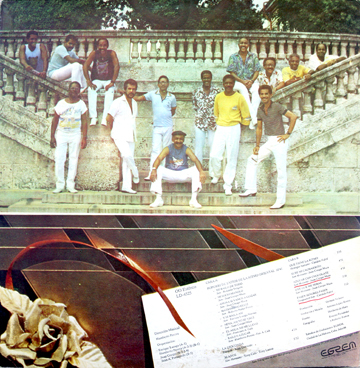 It might have been released during a period where 45s were made to be sold at some special festival that occurred in near the end of the decade, possibly Festival de los estudiantes y la juventud where Irakere recorded the live concert that became La colección, Vol. 4. 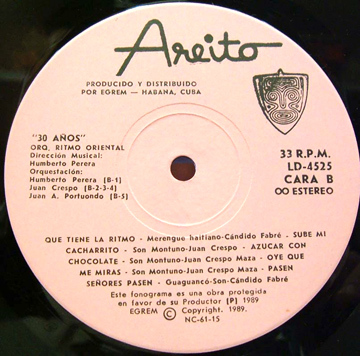 Amor a mi tierra cubana can be found on two different vinyl compilations. 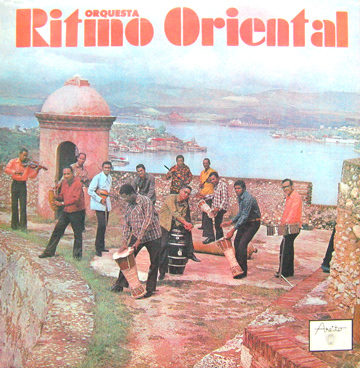 Personnel Changes: Ritmo Oriental's peak lasted about 18 years, and during that time they had less personnel changes than any other major Cuban band. The most notable change was the addition of Tony Calá as their most prolifici singer and writer, but Tony had already been in the band playing violin for several years. It was only when Juan Crespo Maza was sidelined with a throat operation that Tony was drafted as a vocalist. The rest, as they say, is history. This may not be the original pressing, as it says 1987 on the back and the Areíto number pegs it as being 1983. In any case, it's the first LP with Tony Calá singing, although he had previously sung on the singles El son de claro and Cuida'o con la percusión. The first song has a funny story which might have been a tragic one. The band was on tour when a torrential rainstorm engulfed them and the had to stand on top of the bus to keep from drowning. Five of these songs can be found on La historia de la Ritmo, Vol. 2. See our CD section for more details. 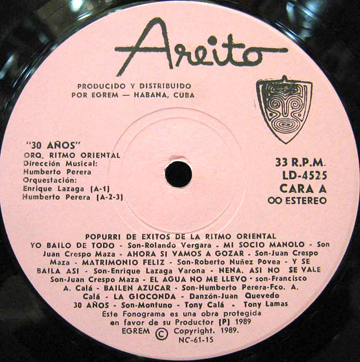 Areíto was EGREM's Havana label and Siboney was based in Santiago. For some reason, a lot of Havana bands, like Revé, did Siboney records around this time. If you have any theories, please write in! A foto of the cover would also be very welcome! 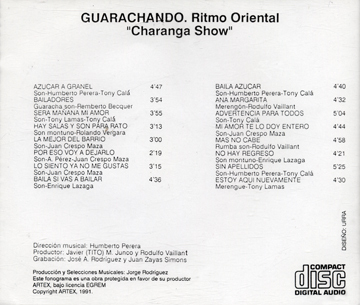 As mentioned above, this album can be found in its entirety on Guarachando Charanga Show. All 8 of these tracks, in order, can be found, along with the 8 from the next album, on the indispensable Guarachando Charanga Show CD. See our CD section for more details. CS330 Avisa por favor Rodulfo Vaillant . . 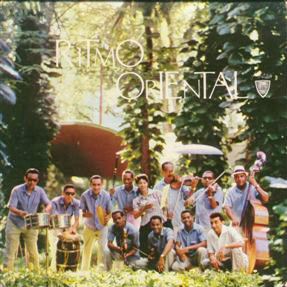 This rarity, written by the great Rodulfo Vaillant and recorded in Santiago, may or may not have ever been released on Cuban vinyl, but a nice transfer can be found on an obscure CD compilation called Bailexitos 2. Make sure you check carefully because there's another, non-Cuban, compilation series with the same title. This was the first album without Tony Calá, (who went to NG La Banda in 1988) but he's listed as the co-composer of the title track. It was released in 1989, although the 30th anniversary would have been July 1988. 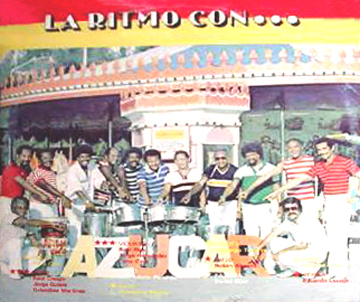 The second and third tracks can be found on Historia de la Ritmo, Vol. 2. With Maza's voice and writing back in the fold, Ritmo Oriental might well have shrugged off the departure of Tony Calá, but not the tragic death of genius drummer Daniel Díaz, combined with the drastic changes of the Special Period and the onslaught of timba. There were two interesting timba-esque albums, with a new cast of younger players, around 1995 and various other revivals, the most recent in 2005, with a full horn section, no less! 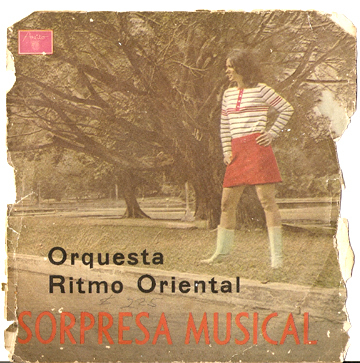 About 25% of Ritmo Oriental's music can only be found on vinyl, and so we repeat our battle cry: write EGREM! But while we wait for them to come to their senses and follow the lead of their more business-savvy yuma counterparts at Fania, here's the most efficient way to navigate the maze of CD reissues and make sure you have the other 75%. To start with, buy the following 4 CDs while you still can. Don't ask questions - just buy them while they're still available. The one silver lining to all this is that the reissuers avoided all boleros, with the result that all 55 tracks on these 4 CDs are pure dynamite. 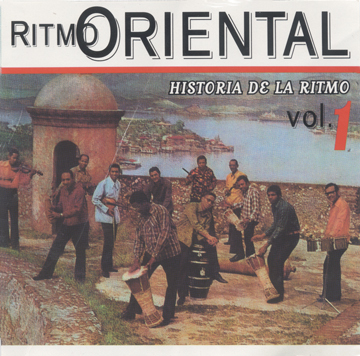 Historia de la Ritmo, Vol. 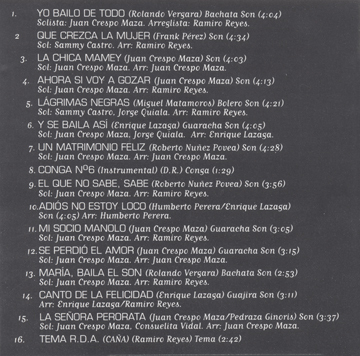 1. begins with the 6 non-boleros from Volume III, plus La Ritmo's most adventurous slow track, Lagrimas negras. Then comes the rare Conga No. 6, which was recorded as part of the sessions for Volume V, but never released on vinyl. Next come the 8 non-bolers from Volume II. 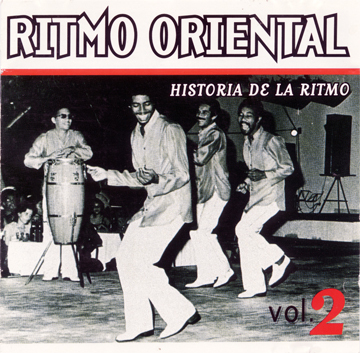 Volume III was probably presented first because Yo bailo de todo is La Ritmo's most famous song. This one has only 10 tracks, and four overlap with our other suggested purchases -- BUT -- any one of the other six tracks is worth the price of the whole album -- three drop-dead masterpieces from Volume IV and three from Volume V.
La Historia de la Ritmo Volume 2 covers the Tony Calá chapters of the historia. It has 2 songs from Volume V (which fortunately are not on the Globestyle CD), 5 critically important masterpieces from Volume VI that can't be acquired anywhere else, 4 from Volume VII, and 2 from Volume IX. This is really the peak of Tony's career - his singing, showmanship and dancing gradually desclined over the 90s due to health problems, and he tragically stopped writing songs and playing violin altogether when he joined NG La Banda in 1988. But from 79-88, Tony Calá was a musical god -- there's a snowy old video of him singing Cuida'o con la percusión, El agua me llevó and Barrios de los rumberos with a radiant stage presence that reminds me in a subtle way of Jimi Hendrix. An interesting side-note is that Mi amigo nicolás is the first arrangement of another young violinist who would become well-known to timberos -- David Calzado. Guarachando Charanga Show. is absolutely indispensable musically and has the added bonus of being a lot less confusing. It has all of Volume VII and all of Volume VIII, in order! 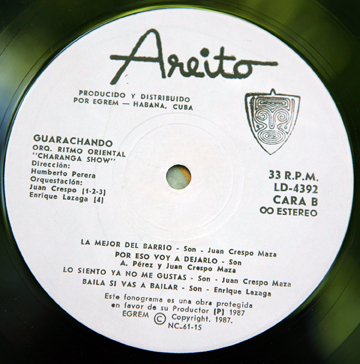 QBADisc's Cuban Gold series has high-quality remasters from many important groups of the 60s, 70s and 80s, and between them, four critically important Ritmo Oriental tracks that can't be found elsewhere. I'd like to tell you that you don't have to buy 3 albums to get 4 songs, but these four songs are simply not to be missed. 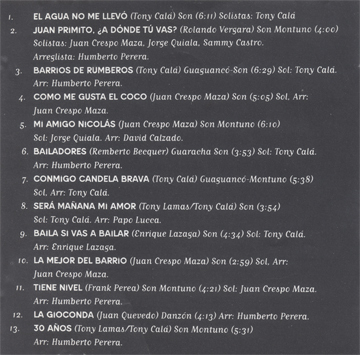 Cuban Gold 4 has Tony Calá's brilliant vocal debut, a tribute to la Ritmo's conguero called El son de Claro, the classic Al que le tocó le tocó, quoted by everyone from Issac to Manolín, and Yo traigo panetela, which can also be found on La Ritmo te está llamando. 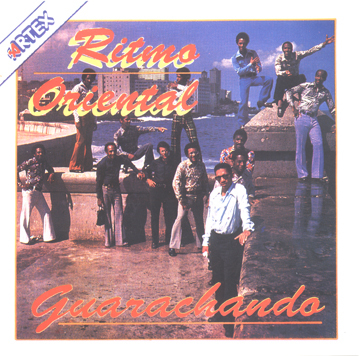 Cuban Gold 2 has one of Ritmo Oriental greatest songs, Cuida'o con la percusión, and Cuban Gold 1, aka Que se sepa, yo soy de la Habana, has Con el chenche buchenche.